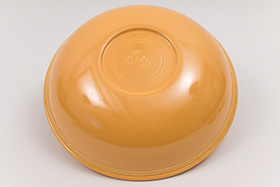 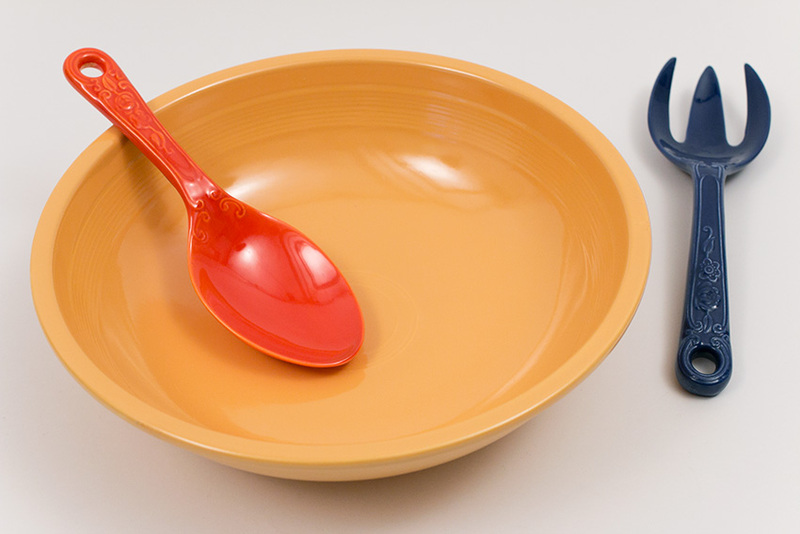 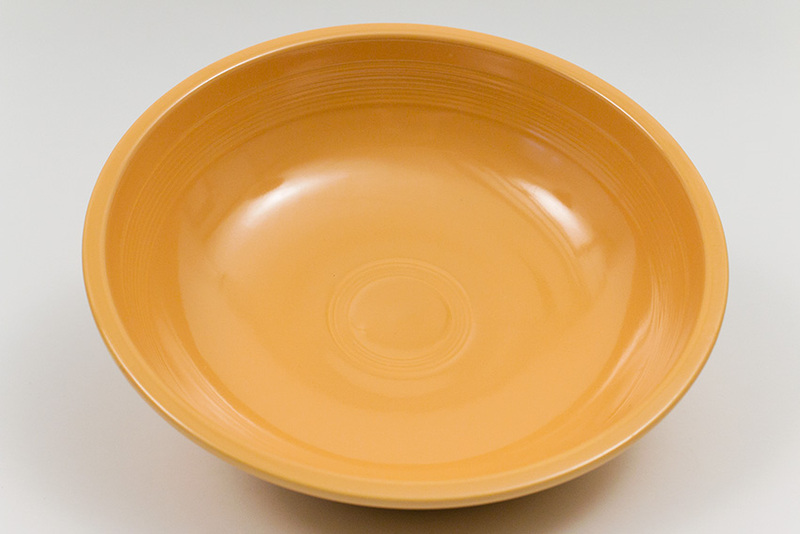 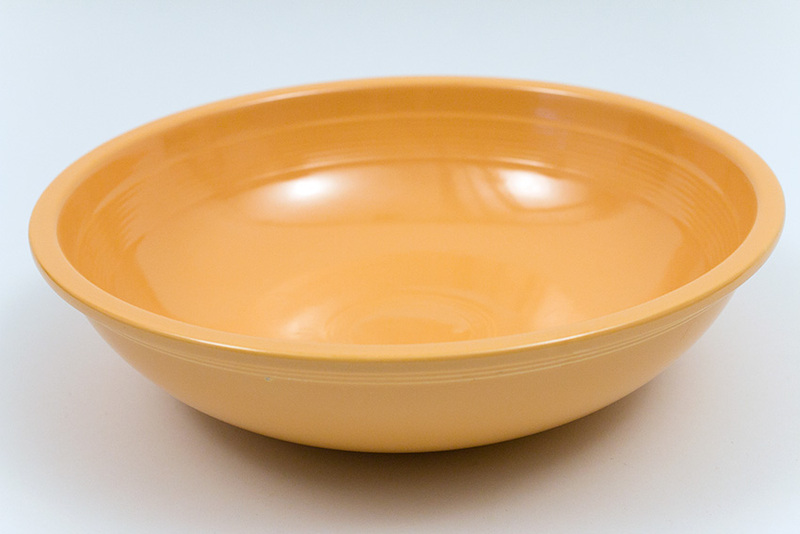 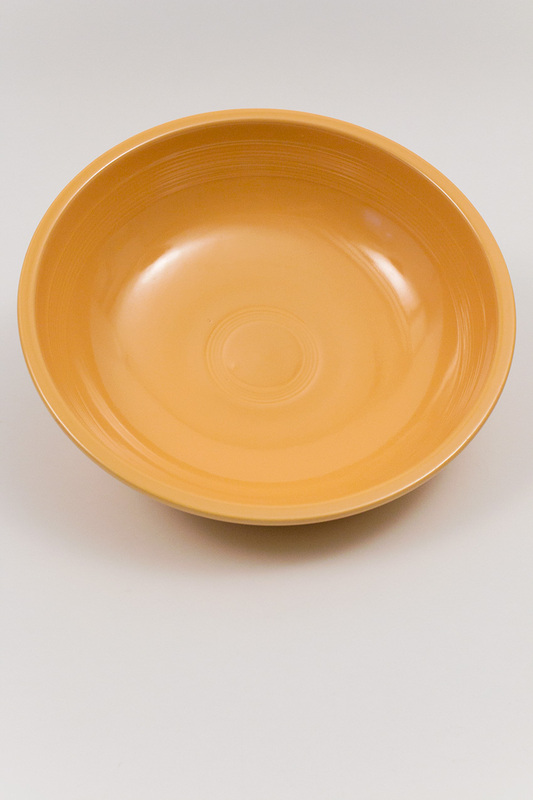 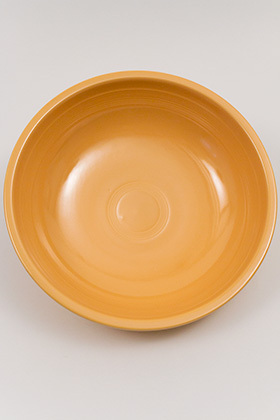 Circa: 1937-1946: The large, shallow fruit bowl was originally designed as part of the Kitchen Kraft line. 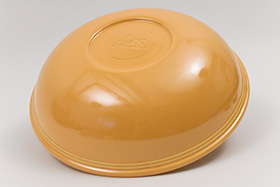 Referred to as the salad nappie by designer and creator Frederick Rhead, it is envisioned as a salad bowl, to be used with the kitchen kraft fork and spoon. 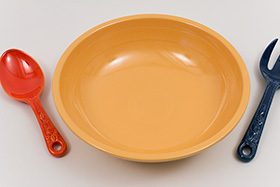 Ultimately though it was released in Fiesta colors and not Oven Serve. 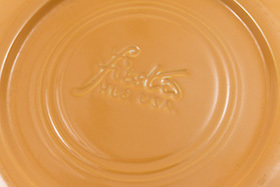 Remnants of the Kitchen Kraft line remain though in the pair of incised rings just under the outside lip.Note a minor sand bump on inside bottom. 11 5/16" inches wide from rim to rim, 4 1/2" wide at base and 3" tall. 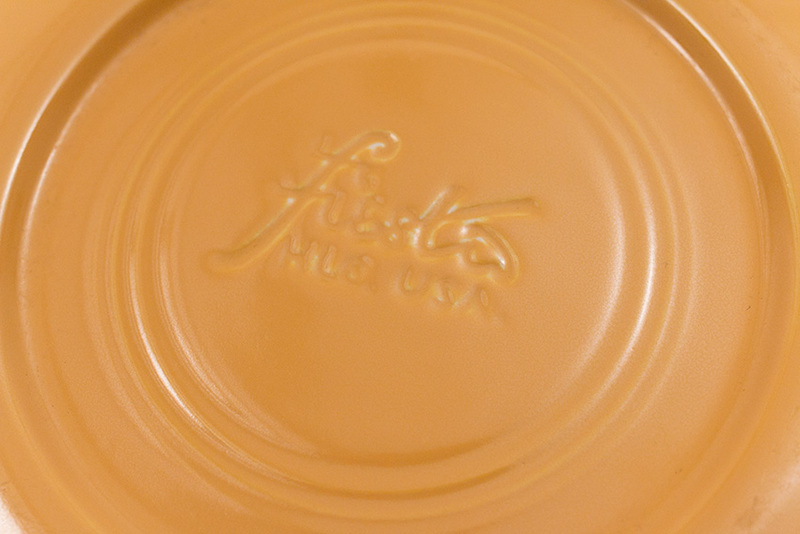 In the mold mark Fiesta/HLC USA. 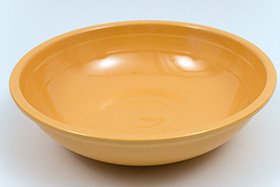 This example is in wonderful condition, without inside use or wear and no damage, just a first class example.